I’m not normally a fan of ‘fly on the wall’ shows, but as it was filmed at Thornhill Community Academy, near where I grew up, and with so many of my friends now teachers – one of them actually teaches at the academy – I thought I should at least give it a try. I was prepared to be quite negative about the show, believing that it would just exploit the children who wouldn’t know how to deal with their 15 minutes of fame. I also couldn’t understand why any headteacher would want to show what pupils really get up to. My opinion soon changed however and, like many other viewers, I admit to shedding a tear or two in the final episode. It was clear from the start that headteacher Jonny Mitchell runs a tight ship and was keen to show how much the academy has improved in the past year or so. Agreeing to take part in the series was a bold move for Mr Mitchell. He opened up the academy to criticism on a national basis, not to mention the parents of the school’s children. Mr Mitchell’s confidence in his staff and his pupils was apparent though. He had clear objectives for agreeing to let cameras and a production team into the academy and knew that he had positive messages he would be able to get across. It is a similar situation across the board for PR and marketing campaigns – despite careful planning, you can’t always control everything and have to be prepared for the small chance of negative comments as well as positive ones. Although you can provide a journalist with the information you want to share, for example, you can’t expect them to use your copy word for word and on the odd occasion, they may take an angle you weren’t expecting. Sometimes you have to take a risk by promoting your company. If you’re confident in your message however, know that you have good stories to shout about and can justify your reasons for taking any particular actions, it will yield great results. Educating Yorkshire wasn’t just about teaching Thornhill students – it was about educating the nation on the academy and its local area. Mr Mitchell wanted to make people aware that Dewsbury isn’t as bad as its reputation. He also wanted to try and raise school numbers by demonstrating the commitment of his staff. Re-educating audiences is an important part of a marketing and PR strategy. A lot of the time people have pre-conceived ideas about a business or its offering. It’s important to take the time to consider what existing and potential customers currently think about your brand, and whether this needs to be addressed. Using a communications strategy you can identify key messages and brand values and work on projecting them. 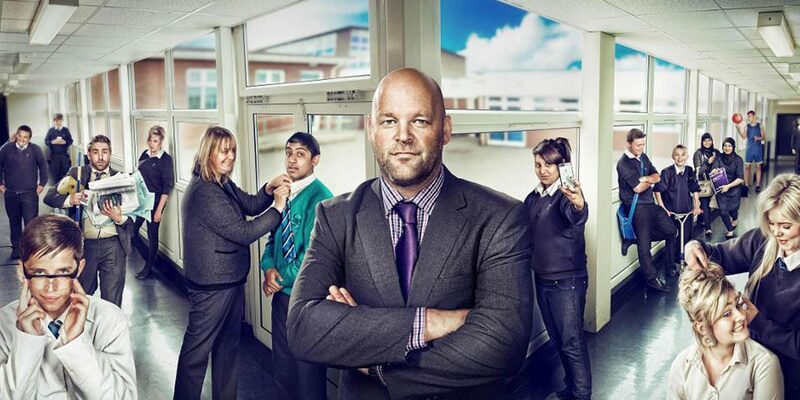 Educating Yorkshire has been a great success, both for Channel 4 (with the opening episode drawing an average audience of 3.3 million) and for the academy. Yes, it showed ‘warts and all’ and some of the students’ behaviour was pretty shocking, but the programme highlighted that most of the children really did respect and admire the teachers and that the staff put their heart and soul into everything they did. The show’s popularity can be measured by the number of celebrities tweeting about it – such as Caitlin Moran, Jessica Ennis, Jack Whitehall – and the sheer volume of regional and national coverage across all media. More importantly, the programme has helped make the students, teachers and community proud of the academy, as Mr Mitchell intended. With reports that the last open day had a big increase in attendance figures, Educating Yorkshire is a great example of how PR can help educate audiences and meet objectives.